Despite a large number of amateurs in the industry, there is little evidence that they pose a marked threat to seasoned professionals. The obvious differences between professionally-shot images and those done by amateurs don’t stop at photo critiques alone. Buyers spend most of their time studying property photos. Studies conducted on the trends in the real estate photography business have shown that properties with professional-grade photo portfolios sell for $11,200 more on average than those who opted for the services of a beginner. High-resolution DSLR images have been known to sell houses 21 days faster in the $400k bracket, and 4 days quicker for houses over $1million. The competition amongst professionals is all the more heated, as a result. Maximizing your visibility across multiple social media platforms and staying active and visible in your community is the most direct paths to repeat business. Your online presence should be an extensively curated portfolio of the best shots in your library. Interacting with clients throughout the project is as important as displaying the results of their experience with you. Pointing to past successes enables you to justify new clients offering you a job. Photography, as a profession, is not as popular a choice as it once was. 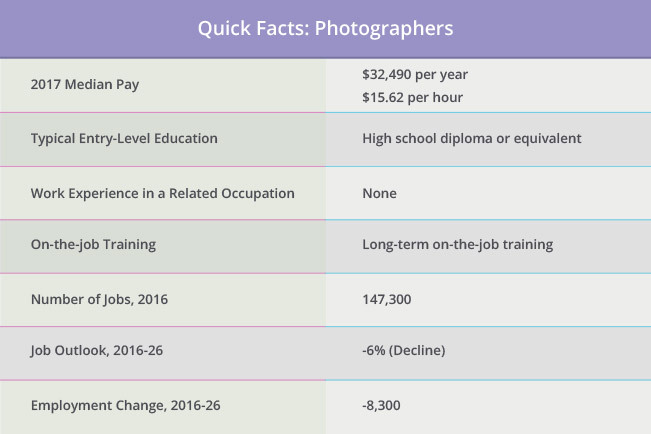 The average income among professionals has declined in recent years, along with a similar reduction in the number of photography students. While it is possible that the reduction in popularity may be partly due to the high volume of image-based smartphone apps, professional real estate photography businesses remain a sought-after service. Clients are repelled by excuses and frustrated by complications. Maintaining control in a society governed by social media and instant global word-of-mouth can lead to serious ramifications for your brand if deception or misrepresentation is detected. The marketplace is saturated with competitors and more businesses are being held accountable for their claims and actions. Honesty is the best policy when liaising with clients. Flexibility and multitasking are crucial to the success of professional photographers, giving them the edge on their competition. A crucial factor in the continued development of any professional real estate photography business is the consistent refinement of skills. A photographer’s outputs offer the biggest potential for growth and marketability of their business. Showcasing consistently high-quality photography combined with unparalleled editing and enhancement work is the best way to keep business flowing. Maintaining a close watch on industry trends as they develop and adopting in-demand service competencies enhances a photographer’s competitive edge. 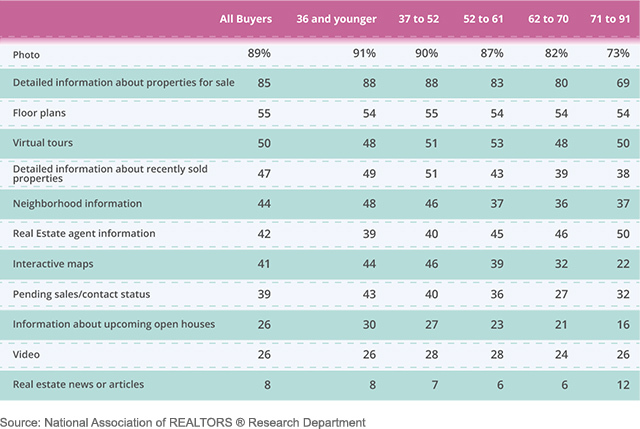 Potential buyers spend 60% of their time looking at real estate photos, versus a much lower 20% reading the listing description and 20% on the agent description. Evidently, giving them the photo quality they want is an absolute must. In fact, studies show that homes with high-quality photos are guaranteed an almost 50% higher asking price per square foot. Equipment is arguably as important as experience in the real estate photography business. Investing in high-end cameras, computers, and peripherals are only as beneficial as the software packages they are paired with. Knowing the ins and outs of real estate photo editing software allows the best photographers to maximize the impact and appeal of every image. In addition, including the key property features that buyers are most interested in is key to a great property shoot. What buyers want from listing websites. Photography comes first. In the real estate photography business, decision makers are not always able to personally view properties and as such require the input of an appointed team member to report back. Offering virtual tours, 360-degree images, and extensive drone coverage increases their appreciation of a property. Over the past five years, 360-degree video technology has become widely popular across social media and has been eagerly adopted by the real estate business. These spherical photographs allow for near-first-person viewpoints, taking immersion to a new level. The ability to observe the full surroundings of a specific scene is a great benefit to real-estate clients, specifically those who prefer to conduct multiple viewings before reaching their decision. Real estate photography business owners invest in powerful camera units used to develop these dynamic views usually come equipped with advanced enhancements including the barometer, accelerometers, compasses, and connectivity capabilities which enable informative virtual reality displays and augmented reality overlays. 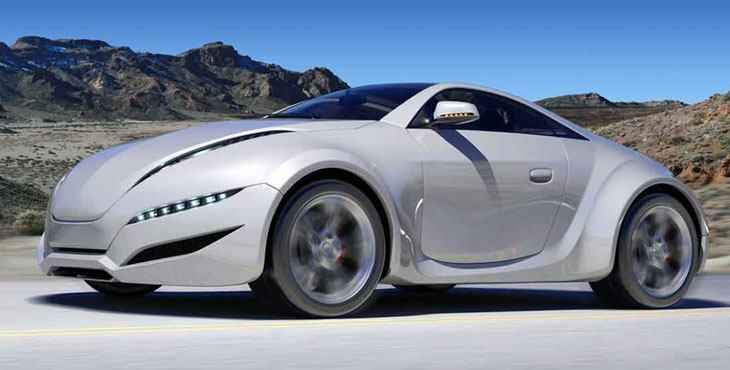 Digital 3D images are as popular as ever. Multi-lens cameras, combined with powerful software enables some of the most highly skilled photographers to create detailed, accurate, and life-like 3D digitizations across a multitude of real-estate categories. The ability to visualize the space from an alternate perspective is highly beneficial to residential and commercial property buyers alike. Using the 3D renderings as a basis, real estate photography business professionals have the ability to make use of virtual staging software to piece these 3D stand-alone images together, enabling prospective buyers to gain an understanding of the layout of any property. 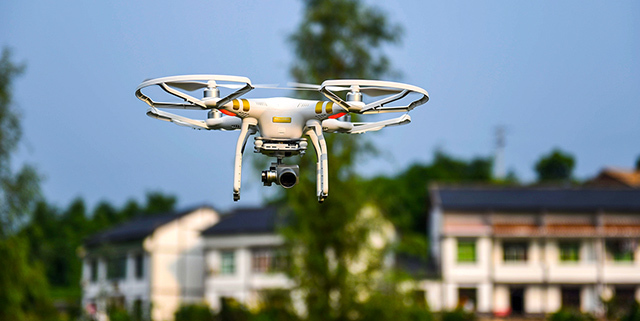 Development and popularization of drones are one of the most prolific technological trends in modern-day photography. The photographic industry has welcomed the aerial advantages that drones offer. 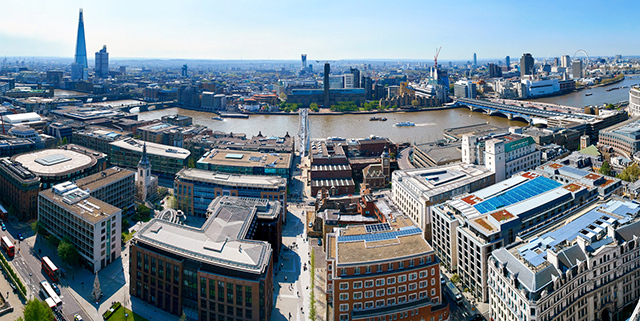 Their unparalleled flexibility and maneuverability have made it possible to capture highly detailed bird’s-eye view of imagery – a major benefit to the real estate photography business. Drone piloting and photography qualifications are becoming important aspects of the professional photographer’s service offering. The rate of progression within the industry is fairly slow, due to the time and financial investments required. Growing through the ranks of real estate photography business requires unparalleled dedication, patience, networking skills, and state of the art equipment. Gaining the competitive edge requires excellence and compatibility across multiple forms of outputs and subject matter. Strategic choices of lighting, angles, lenses, filters, and diffusers elevate the appearance of any space, highlighting its unique desirability. 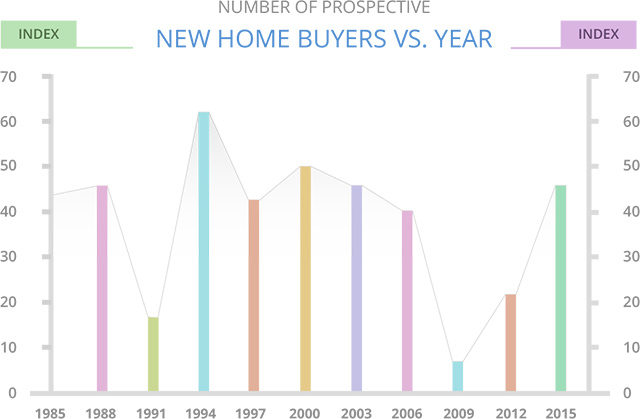 Using clever tactics and offering added benefits to real estate brokers is a great way to get repeat business. Industry-leading photographers have been known to offer dressing services designed to make each room and every scene stand out to its highest potential. Details including additional lighting, strategic shading, stylistic additions, accents, and focal points make photos more memorable. 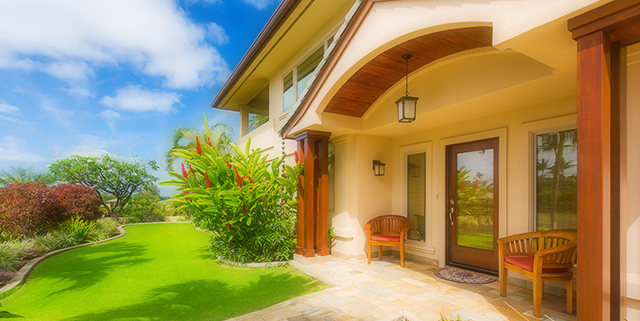 Understanding computational photography is fast becoming a priority for many real estate photographers. Different approaches are possible here, however, the unifying factor is the use of computer processing to interpret data collected from single or multiple lens setups including wide-angle distortion correction. Interior space photography is especially enhanced by this relatively new technology as depth perception and detail are improved. Since HDR is popular and getting the white balance right for true color tones, chances of getting over-edited images are more. Access to the best software enables delivery of optimal results, but in turn, requires powerful hardware to run. While costly, these platforms are almost as important as the camera and lens selections. Using right combination of lenses and software enables real estate photography business professionals to capture tricky open-plan areas in an attractive manner. Real estate photo editing assists with maintaining a competitive edge in the industry require a broad knowledge base including optimal staging and scene setting, internal and external lighting challenges, reflection mitigation, weather adaptability, and many other factors affecting the real estate photography business. Using clever combinations of apps and services ensure that weather patterns are taken into account, and shoots can be planned accordingly. Naturally, image quality will always be the most useful benchmark for clients, along with stylistic and artistic preferences. In addition, the use of post-production software allows for the mitigation of poor weather effects. In the real estate photography business, the more skills an individual has, the better their chances of attracting clients. The best photographers make the often awkward process of staging photographs effortless, they capture key elements with a sense of focused perfection, and enhance the appeal of their subject matter. Keeping your existing clients close is key to building a healthy repeat client base. With real estate clients, offering additional services that add value is the key to remaining memorable.. Adopting a can-do approach is appealing to clients, creating an atmosphere of trust. A high degree of competency is required to avoid over-editing, which often leads to color and white balance distortion. Making life simpler for customers and operating with transparency are two of the pivotal areas of differentiation between photographers. Achieving balance in real estate photo editing with HDR and compound images is a high-end competency. Customer service is a multi-faceted goal that needs almost constant attention to key tasks in the real estate photography business. Everyone wants to pay less, but clients who want easy solutions that save them time are willing to pay for them. Offering a premium level customer service experience is going to give you the edge and earn repeat clients, referrals, and reviews. 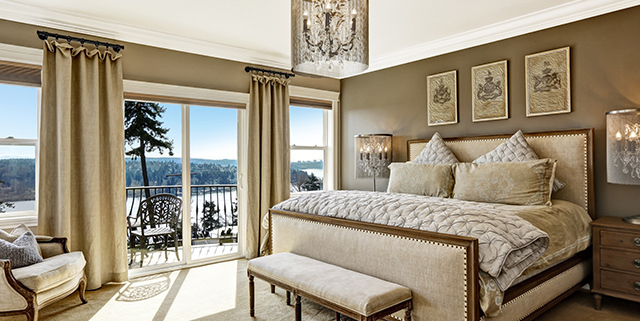 Photographers who work according to a few basic real estate photography tips are usually first to prosper. The creative and artistic nature of the photography industry often attracts talented individuals who lack the business acumen to maximize their profits. As a result, professionalism and trustworthiness go a long way to prove a company’s worth. The capability to advise clients on the optimal preparation steps for their home goes a long way to highlight professionalism and depth of experience. Clients are becoming more discerning and also base their decisions on the personal branding, perceived value-for-money, prompt delivery, and reputation. 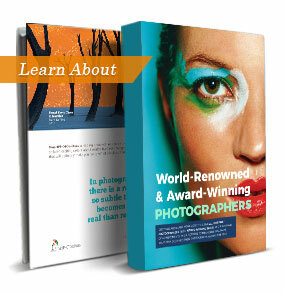 The top pros have had magazine features, exhibitions, and reliable online exposure to further establish their status. These opportunities mainly stem from extensive networking and marketing efforts – a competency that has become vital for photographers to learn in an effort to remain competitive. Making provisions for a simple client communication and booking procedure is highly beneficial to gain referrals and good reviews. Attentiveness is key, with more people and firms opting to communicate with firms via social media. Always keep in mind that one of the biggest pain points real estate photography business individuals cite when hiring photographers is punctuality. Ensuring that your timing is always right immediately elevates your reputation above the competition. Scheduling in additional time to spend on each assignment shows additional care and over time creates a reputation of going the extra mile. This should be an easy process for your clients. Quick response times across the board, frequent updates, social responsibility, and quality interactions are all ways to make people remember and prefer your services over the competitors. Sincerity goes a long way. Successfully managing a real estate photography business is a major undertaking. The wide array of factors that directly affect photographers can be overwhelming. Photography equipment is expensive. Purchasing basic tools like cameras, gimbals, and tripods, or the more advanced tech required for 3D rendering and 360-degree photography is a major investment for any real estate photo editing project. It’s of critical importance that real estate photography professionals take care to maintain their existing client relationships, while constantly seeking out new opportunities. The industry’s top photographers are coming to terms with the need for co-operative networks of subject matter experts, outside service providers, and potential partners that could elevate their real estate photography business offering to the next level. The complications go further still when the ever-present threat of equipment failure and pressure from competitors are taken into account. It’s more important than ever to ensure that every one of the services you offer is of the highest quality. Knowing their capabilities and limitations allows real estate photography business owners to accurately manage their client’s expectations. Competition comes from all sides in the photography industry. There are professional photography groups, clubs, and organizations in almost every location in the world. As a result, there’s additional pressure from amateurs and hobbyists. It’s interesting to note that the majority of professional photographers began their careers as hobbyists and enthusiasts, later going on to pursue a more formal training or qualification to gain the edge in the real estate photography business. Creating a compelling brand image, developing a marketing strategy, building up lead databases, and the entire sales process all fall to the photographer to manage. The sales and marketing aspects of any business have a marked effect on their success. Personalisation and real connection with clients sell. 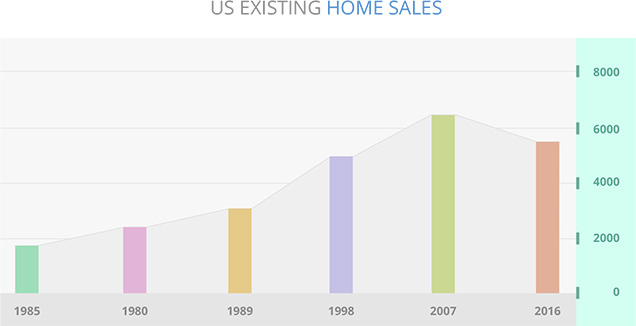 The volatile global economy has a marked effect on real estate prices. When the housing industry loses momentum, so do real estate photography businesses. It’s at times like these that the most dedicated and active entrepreneurs make full use of their network of connections to gain additional work. Notably, the majority of freelance photographers make use of only their smartphones to manage their entire business. Once a real estate photography business grows, it often becomes necessary to re-strategize this approach and consider professional management options. Many times, real estate photography business outfits don’t grow because they can’t afford to hire internal staff to handle the workflow. Outsourcing is becoming an increasingly popular choice for companies in this financial position. Real estate photo editing and refinements are among the most important aspects of the artistic process. 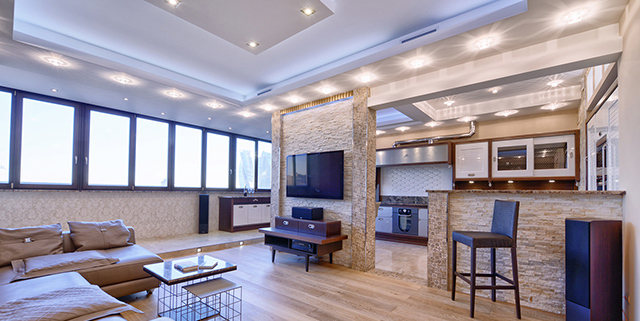 Compensating for lighting inadequacies, glare, loss of detail, and a host of other micro imperfections elevate property listings from amateur to professional status. Resource-intensive competencies are vital to the creation of fully optimized images. There are more affordable solutions and alternatives, which invariably achieve noticeably inferior outputs. Making money saving a priority is key in business, but should never be done at the expense of quality. Real estate photography business clients notice, and reputations are tarnished when the pursuit of lower overheads affects the standard of the service provided. There is an entire legal framework within the real estate photography business to operate within as well, requiring legal competency and the ability to avoid copyright violations, ethical difficulties, and other potential legal pitfalls. There are strict drone laws globally that differ greatly between countries. 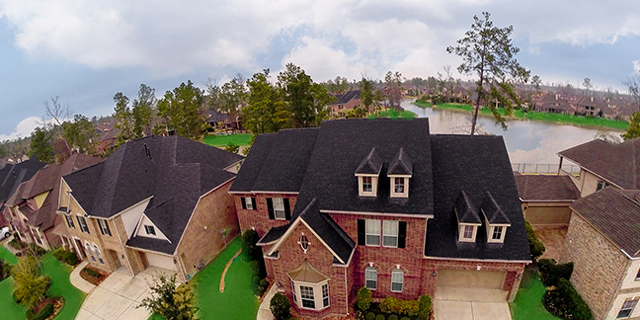 Offering drone photography through your real estate photography business requires strict adherence to the specific laws of the country in which you operate. This protects your business and your clients against legal actions or potential fines for infringements. The global landscape is shifting, with constant legal changes, bylaw updates, increased requirements and more complex clearance details be taken care of. This is often the case with real estate photography, where proximity to others and their private property rights have an impact on the delivery of the project. Understanding the required legalities is imperative to successful operation. Improvements in market analytics, customer relationship management software, invoicing, and other support technologies have simplified the process of gaining client insights and understanding their requirements. The more you understand about your clients, the more effectively your real estate photography business can meet their needs. Respect for privacy and personal rights is key to continued success in the real estate photography business. Constant vigilance is required in vetting and handling projects in order to protect your business from scams. Understanding the landscape in which they operate is important for photographers. Keeping up-to-date and connected to the professional community and your clients will enable you to manage any changes in legislation, including online privacy and intellectual property regulations. The real estate photography industry is a volatile and unpredictable landscape affected by the housing market, technological advancements, and technique refinements that occur on an ongoing basis. 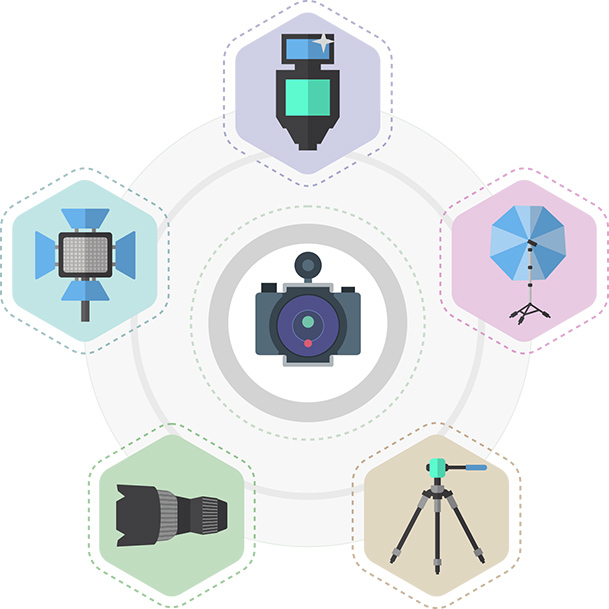 Maintaining a healthy photography business in this day and age requires a broad range of skills, from technical abilities to marketing and sales. It’s unreasonable to expect real estate photography professionals to handle every aspect of their business in a global environment that demands a high level of competency in every discipline. 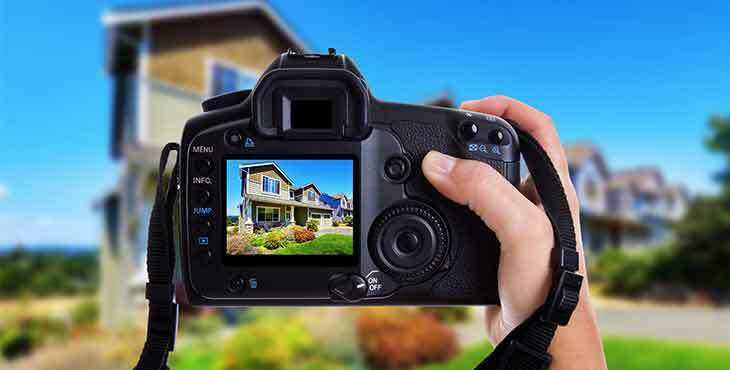 Freelancers and fledgling photographers are usually able to make use of these basic real estate photography tips to maintain control of their schedules and relatively small client base. However, with popularity comes the need to appropriately manage the influx of requests, comments, reviews, while working multiple shots a day and handling editing competencies. 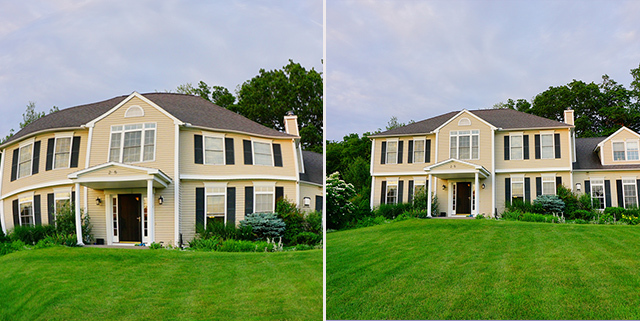 Even the best-run real estate photography business needs support from reliable image editing service providers like Smart Photo Editors to deal with project influx while maintaining quality and turnaround time. 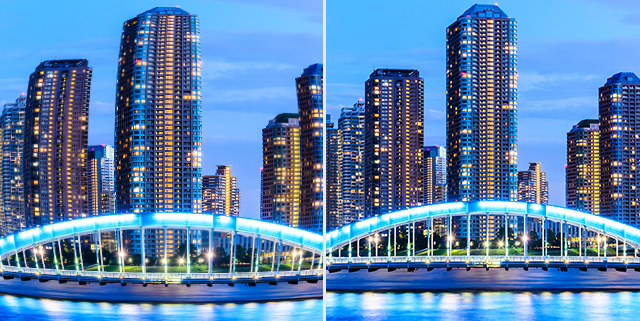 Outsourcing some of the critical image editing projects will allow professional photographers in finding more time to spend behind the lens and opting for skill-based resources for the high-value projects.